What could the Deathly Hallows be? 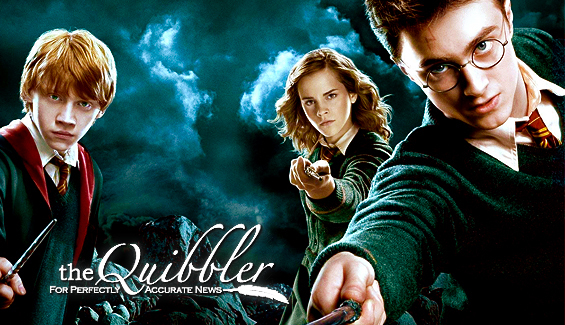 The seventh and final installment in the Harry Potter series will be called Harry Potter and the Deathly Hallows. When asked what the "Deathly Hallows" were, J.K. Rowling said, "Any clarification of the meaning of 'Hallows' would give away too much of the story - well, it would, wouldn't it? Being the title and all. So I'm afraid I'm not answering." Rowling is sneaky as ever! But that hasn't stopped fans from speculating and taking guesses at what the title may mean. The word hallow is usually used as a verb, in which case it means "to make holy or sacred, to sanctify or consecrate, to venerate". However, hallows is used as a noun in Harry Potter and the Deathly Hallows. The term 'hallows' can also be seen as a noun in "All Hallows' Eve", which refers to Halloween, and "All Hallows' Day", which refers to the day after Halloween. According to the dictionary, 'hallows' can refer to saints, the relics of saints, the relics of gods, or shrines in which the relics are kept. Many fans think the Deathly Hallows may be a location. Places have been very important in this series. Just a few examples of important locations include: The Chamber of Secrets from book 2, Godric's Hollow, the Ministry of Magic, Grimmauld Place, etc. However, it is important to note 'hallow' and 'hollow' (like in Godric's Hollow) do not mean the same thing. 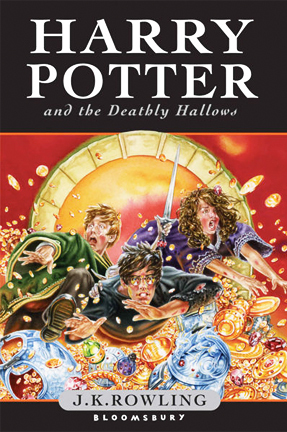 Regardless, it is very possible the Deathly Hallows is a location, especially since the U.S. cover sports a scene with Harry and Voldemort dueling in what may be a graveyard. Others think the Deathly Hallows may be an object, since many book titles and important plot points have been objects. A few examples include: the Philosopher's/Sorcerer's Stone and Mirror of Erised from book 1, the Goblet of Fire from book 4, the Half-Blood Prince's textbook from book 6, etc. A less popular speculation is the Deathly Hallows could be the name of something, just like the Order of the Phoenix from book 5 was the name of an organization. Whatever "Deathly Hallows" means, one thing is for sure. We are beyond ready to find out!